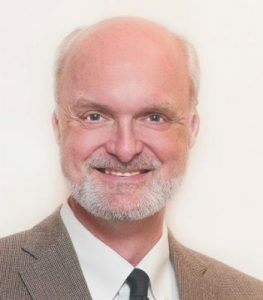 Stephen Abram, MLS, is executive director of the Federation of Ontario Public Libraries where he represents Ontario’s over 300 public library systems to all levels of government. He has deep roots in Canada’s library sector as a strategy and direction planning consultant for libraries and the information industry is principal of Lighthouse Consulting Inc. He has been president of the Ontario Library Association, the Special Libraries Association and the Canadian Library Association. He is a renowned library trend watcher, keynote speaker, innovator and author of Stephen’s Lighthouse blog – the top blog in the sector globally – as well as hundreds of articles and a number of books. Stephen’s recent books include contributions to the most recent textbook for library science, Information Services Today: An Introduction, ALA Editions’ bestselling Out Front with Stephen Abram, Boomers & Beyond, Libraries 2020, Creating a Culture of Evaluation: Taking your Library from Talk to Action, and Reinventing Reference: How Libraries Deliver Value in the Age of Google. He teaches at the graduate level at the University of Toronto’s Faculty of Information (iSchool) as well as planning iSchool Symposia. He has held executive leadership positions in libraries and at Cengage Learning (Gale), SirsiDynix, Thomson Publishing, ProQuest and IHS.